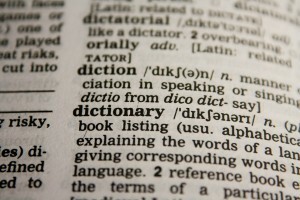 A dictionary is a learning tool that can help a student with their vocabulary, with their reading comprehension, with their communication skills, among others. To ensure your child knows how to reap benefits from their dictionary, follow the tips in this post. The first tip is to practice the alphabet with your child since it's crucial that they're familiarized with it in order to use the dictionary successfully. Of course, you should provide a dictionary for them. Just remember to give them one that's suited to their age, needs, and level (e.g. a pocket-sized English dictionary should do if they're starting out). You will also need to sit down with your child and explain the dictionary to them. Tell them what they can use it for, and what they can learn from its different components, like the thesaurus. Be with your child during their first word searches. Teach them to begin searching for the first letter of the unknown word in the dictionary. Then, remind them to rely on the guide words at the top to find the words they want. For the dictionary to be an effective learning tool, your child should understand the definitions of the words they search for. Help them solve any doubts so they can widen their vocabulary effectively. Help your child become a better learner with one-to-one tutoring in Fulshear TX. Call The Tutoring Center, Fulshear TX at (281) 346-8120 to inquire about their academic programs, or to set a free consultation.